Biomechanics, Metabolic Flexability and...What is Shark Week?! You are here: Home / Exercise / Biomechanics, Metabolic Flexability and…What is Shark Week?! Biomechanics, Metabolic Flexability and…What is Shark Week?! Well this is it ladies, the final days of the first Venus Index contest.12 weeks certainly flies by when you’re having fun doesn’t it! So it’s time to take final pics (for those of you who haven’t done them yet) and time to reflect on the past 12 weeks. Also it’s time to realize that you’ve got an experience and knowledge about how weight loss, muscle building and changing your body composition really works. There are going to be people in your life who will offer their opinion on your transformation regardless if they’re in no position of education or authority or experience to offer such an opinion. There will also be people (such as personal trainers) who appear to be in a position of authority that may try to convince you that what you’ve just done is somehow wrong, or has to change to continue to progress. My advice at this point is to just be very aware of who you listen to and what you allow to influence your mind and how you view yourself and your next course of action for your diet and fitness lifestyle. You’ve got the experience to know what works regardless if you still have a ways to go to get close to your idea VI. Any advice you get that sounds like the same old fitness dogma should be viewed with a skeptical eye. Either ignore it or ask for proof and the source of the claim. From now on you should question everything you year that doesn’t fit with your real life experience of what you now know really does work for changing the look and shape of your body. In todays podcast we’ll talk about some of the social situations you might get into with other people offering uneducated opinions on your fitness and diet lifestyle. We’ll also talk about biomechanics and discuss why each person will react and manage various exercises and workout routines differently based on the length and shape of their muscles vs tendons, muscle fiber type distribution, tendon insertion points, limb length and other factors that affect peformance. 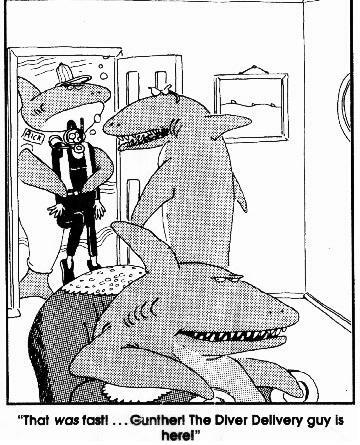 Finally, I’ll explain how I spent two months in the fog about what the hell ‘shark week’ was…I really thought you were all just really into shark documentaries…seriously!!! I hope you feel better knowing that i have never heard of “Shark Week” & that I had no idea what you guys were talking about. I figured it out but it is not common knowledge or a common term that i, or a lot of the ladies who have commented above me, know about. Have a great day and thanks for the laugh.